Biological maximization is the next generation of breakthrough competitive advantage for the future corporation. Individual and multi-individual human systems are maximized by nature’s adaptation mechanisms in exactly the same way. Therefore, the techniques for biologically maximizing yourself that you have learned in previous essays may be applied to maximize all human systems – an individual, a family, a company, a marketplace, a country, and the human race as a whole, for example. I nearly wrote the obvious article which extrapolates from individual to corporate maximization. 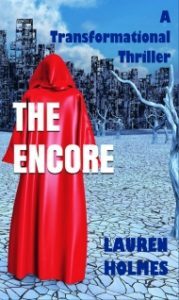 But then it occurred to me that it might be more intriguing for both reader and writer if I assumed that both the employees and the corporation are already maximized. This would give us a view of the goal state of maximized corporate operation. It would reveal the potential company of the future. We will therefore assume that both individual and company have both already partnered with nature’s machinery for adapting and maximizing all living systems for survival. We will assume that they are thus already operating not only at their internal potential but their extended potential. This means that we will be assuming that they both have extended their innate capabilities and potential to include those of the maximizing machinery externally and all of the systems it orchestrates. What will the future company look like when populated by employees operating beyond their potential? First, let’s quickly review how the biologically maximized individual will be operating. A snapshot of that state can serve as a model for our discussion of the biologically maximized corporation. Peak performance for a human system is the application of one’s strongest talents to the context that will most benefit from them. One’s greatest strengths then will thus be applied to one’s most meaningful and rewarding work for an audience that will value that work the most. This work must scale new frontiers either for the individual or for advancing reality. It must change the physical world in some way. There is the requirement for creative and learning elements. This is because the entrance fee to attain our maximum state requires us to be stretched beyond our previous performance levels. It requires that we apply our strongest talents at increasingly more elevated levels. Obviously, as a successful species, we have evolved addictive or motivating drives to pull us to maximum performance and adaptive advance to improve our prospects for survival. Until this series of articles, our peak performance or maximum state had been called flow. I have identified a subset flow state which is even more precisely our maximum. I have called it top-talent flow state since it emerges as a result of applying one’s strongest talents to advance ideal contexts as identified in the above definition of our maximum. A requirement for entering this enticing top-talent flow state is that the activity that invokes this altered state of consciousness must stretch you beyond your previous capabilities. Therefore, growth in skill and impact are built into this state. Every time you enter flow, then, your system will be advancing. 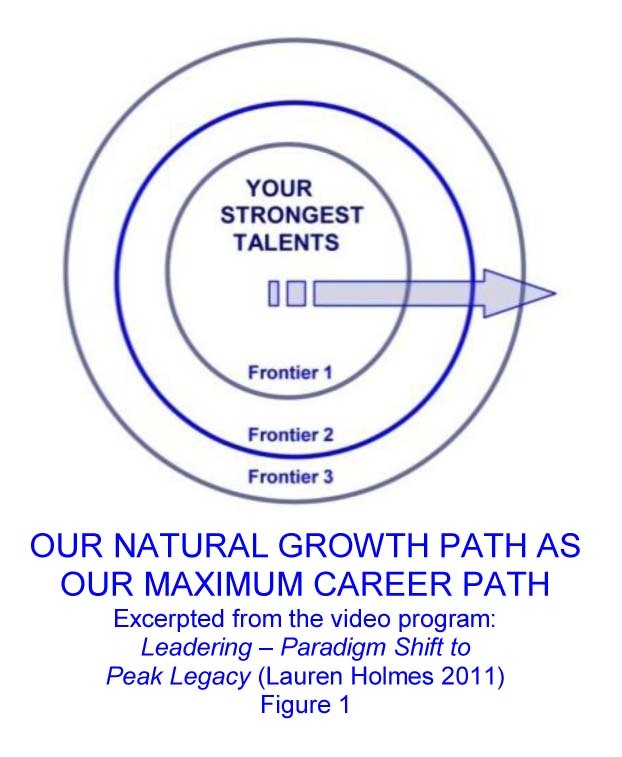 In top-talent flow, you will therefore achieve peak growth and peak performance. We have evolved drives what will always pull us to this maximum. They have evolved to ensure our survival. Growth to maximum performance then can never be linear. Your core is a constant. Your strengths, your talents, and your essence are a constant. Biological predisposition determines this core. Therefore, mechanisms trying to maximize you will always pressure you to expand around your core strengths. Think of ever-widening concentric circles. Nature will always pressure you to operate in flow states which emerge from applying your greatest strengths. This is why the twelve Sourcing-Your-Savant exercises are so critical. They tell you your formula for operating sustainably in your maximum state. They tell you when the machinery has and has not supported you in the past so that you might determine the formula for when it will and will not support you in the future. Maximized individuals move with the maximizing flow and never against it. Therefore, they live by this formula going forward. They choose all projects or goals to capitalize on the machinery and to avoid problems. Imagine knowing which projects will or will not work before you begin them. This will mean that the machinery will support them with a plethora of capabilities, facilitations, and leaps that will catapult them to their goals. Externally these leaps include clusters of coincidences relevant to their goals. Internally, these leaps include breakthroughs, flashes of genius, breakthroughs, “Aha!” and “Eureka!” events, flashes of genius, epiphanies, sudden knowledge, sudden insight, intuitive leaps, enlightenment, sudden creativity, sudden creation, creative inspirations, and leaps to emotional highs. These leaps are the essence of the maximizing process. They are generated by the re-combining of existing information systems to create new information systems. This is the basic creativity used to solve maximizing challenges. It is the essence of adaptation. Obviously, maximized individuals will automatically merge with a machinery that has evolved to maximize us. They can thus achieve bigger goals better and faster with this extended potential. They can achieve beyond their potential. In addition, your performance will increase in another way. You will be merging with the production line that generates adaptive leaps or solutions. Even non-creatives and those of normal intelligence may come up with career-changing if not world-changing breakthroughs through tapping into this powerful process. Imagine what you could accomplish with a lifetime of leaps. No wonder every one of us wants to know our maximizing formula. The maximizing machinery maximizes all human systems identically. It neutrally applies the same pressures to every human system. This means that there is only one human-development continuum for individual and multi-individual systems. There is a single human-development continuum for every individual system, every company system, every country system, and so on. Because the maximizing machinery is logically integrated, the new standards deriving from a partnership with that machinery will also be integrated and interlinked. This translates into a single develop continuum or single process for organizational development, leadership development, talent development, change management, and career management, for example. Because leadership development and individual development use the same systems maximization process, leadership development will become a by-product of pursuing one’s natural growth path. The natural drives of the individual will propel personal advancement. Yet they will also inadvertently pull individuals to meet organizational needs for leading and leadership development as a byproduct. In fact, you will learn that this singular development continuum pressured by the maximizing flow will merge today’s fragmented corporate best practices into a single integrated process. Partnering with the maximizing process will simultaneously revolutionize standards for management science, leading, entrepreneuring, frontiering™, innovation, leader creation, leadership development, organizational development, performance improvement, productivity improvement, project management, high-speed growth, change management, talent attraction, talent retention, talent development, career management, recruiting, outplacement, and more. Pursue improvement in one aspect of running a corporate system and the other aspects will upgrade as well. With every individual linked to the same maximizing machinery, corporate best practices are merged and simplified. Levels of uniformity and unified advance never before achievable within organizations are possible. Leadership responsibilities can be embedded throughout the employee population without the requirement for hierarchy. Unprecedented opportunities emerge for not only distributed leadership and decision-making, but also for universal core competency upgrades. Mass maximization and mass synchronization are integral to the maximizing mechanisms that have developed over generations. They can be duplicated within corporations by simply tapping into these ongoing processes being orchestrated by the maximizing machinery, the master. Learning-to-learn programs may be replaced by the agility and adaptivity inherent in the partnership with the maximizing engine. This new formula for creating the learning organization does not stop here. As a successful species, we already have the drives for learning and adaptivity. The study in figure 3 shows that these drives have been deactivated by cultural interferences. The learning organization can be achieved by simply reactivating the drives and functionality we can see in operation in our children before they are pressured to conform to our cultures around the age of five. Partnering with maximizing mechanisms which have evolved the species will release learning agility from the inside of each employee more quickly and successfully than traditional organizational programs can instruct and pressure learning-to-learn expertise from the outside. The very definition of a learning organization is individuals en masse with their drives for learning released. In addition, partnering with maximizing process makes its themes, modus operandi, and functionality available to us. So, while our own learning, adaptivity, and frontiering drives are being reactivated, we can borrow nature’s adaptivity, agility, advance, and problem-solving to operate as if we are already learning experts. The same is true of organizational creativity and innovativeness. Adaptation is nothing if not a machinery for creativity and creative problem-solving. 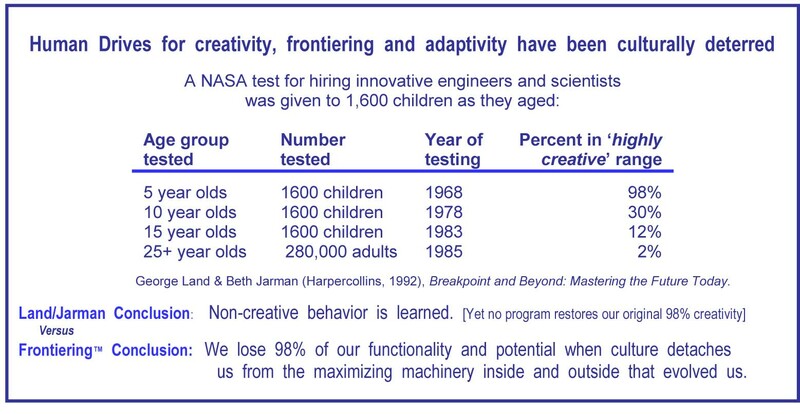 As above, figure 3 shows that most of us are born creative and adaptive. Our cultures interfere. They provide structured, linear processes which preclude creativity. They make experimentation and the failures inherent in the process risky to our acceptance and advancement. Because change is feared, those who offer new creative solutions are often criticized and ostracized. Societal mechanisms for resisting change are translated into personal attacks on those promoting change. Funding for innovation is limited to a few fields. How successful have corporate programs been in making non-creative people creative? Would the success rate not be better if we simply partnered with adaptation’s creativity to enable everyone to be creative? And how smart is it that this very process of partnering would reactivate not only the creativity in each of us but the drives that make creative acts addictive? Would our companies not become more competitively creative if we restructured them to free our innate creative drives? And would that creative competitiveness not be increased dramatically by extending it with the creativity of nature’s maximizing process? Of course it would. Our internal creativity has actually evolved to work in tandem with the creativity outside of us in the maximizing machinery. The synergy enables exponential increases in creativity. This creativeness inside and outside of us is actually the same maximizing continuum. It was our cultures that decided that our potential and our functionality would be limited to what is inside of us. Our cultures keep us separate from the massive maximizing machinery with which we have evolved to operate at our full extended potential. It is our cultures which have hidden our extended potential from us. It is our cultures that make it unsafe to use the frontiering™ drives which both companies and humanity need to thrive in today’s tumultuous world. Imagine the corporate improvements in productivity and innovativeness with the restoration of the full extended potential of each employee. Competitors will be quickly eclipsed. The very capabilities most organizations seek to cultivate through a multitude of corporate programs are accessible through a single shift of every employee to their natural partnered state before culture interfered. The systems maximizing machinery may be harnessed to maximize your work, to manage your career, and to empower your children to operate at their full potential to achieve their goals. Business leaders may use it to run their companies. National leaders have a new engine for maximizing their countries. World leaders may copy and comply with this multi-system maximizing machinery for running the world differently. We have a new means to adaptively evolve the human race to advantage. Let’s briefly overview a number of additional territories of company operation revolutionized by partnering individual and multi-individual human systems with the maximizing machinery. Adaptation maximizes and advances systems synergistically and synchronously for survival. To do this, it honors the integrity of each individual or multi-individual human system. It pressures the integration of each human system around its core strengths and the drives that promote the use of those strengths. It pressures operating from the peak-performance and peak-growth flow state that emerges when one is applying these core strengths to advance or be advanced by the contextual system of which it is a component. This is because the maximization of the contextual system is tied to the maximization and advance of the component system. There must always be synergistic exchanges between them. Our maximum state will always include an exchange. In this flow state, only the parts of the brain required for the task at hand are activated. One’s body and being move into congruence at the highest performance levels. This is our most powerful state. This is the strongest configuration of a human system for its survival and adaptivity. This is the state of true integrity of the system. It may not always be possible to operate from this state maximized and centralized state. However, it is understandable why maximizing forces and mechanisms will always pressure us to achieve and sustain this state. For those who want to extend their capabilities with those of the maximizing machinery, it is important to understand its goals. The closer you are to this centered, self-actualized state, the more you can take advantage of your internal-external system. It is in this state that circuits complete between internal and external maximizing mechanisms and processes. Integrated and centered in this state of integrity, you may most effectively partner with the maximizing machinery for your most powerful and productive state. The above model of honoring the integrity of hierarchic human systems is the same ideal model for peak performance and peak competitiveness of the hierarchic interconnections of human systems around a company: employees, teams, departments, company, the company’s business web of suppliers, partners, customers, and support entities. Copying evolution’s smart model for synchronizing systems into a synergistic multi-system maximization process certainly would add competitive advantage to a company. But here is a new conceptual platform for the real competitive breakthrough: the powerful maximizing machinery is already driving the company and its associated human systems in this maximizing and synchronizing manner. Ignore it at your peril. If a company wants to achieve its goals bigger, better, and faster to outperform and outmaneuver the competition, the maximizing flow is a huge factor. It is both an opportunity and a curse. The direction and biases of the maximizing flow need to be factored in when choosing any goals. If not, there would be a 50:50 chance that your company will end up fighting upstream as it pursues its goals. The company would have to fight against a large powerful machine. The competitive gap would widen even more if the competitors of this upstream company were flooding downstream with the maximizing flow at high speed while being catapulted ahead by a plethora of leaps such as coincidences, breakthroughs, and facilitating events. If you want to take advantage of a partnership with all of the powerful mechanisms, forces and capabilities that have evolved to advance human systems, then you will need to honor the integrity of any human system that you are trying to maximize or to conscript to help you to achieve your goals. Now let’s see some examples of how corporate best practices will change when we comply with nature’s pressures to honor the integrity, growth, and maximization paths of each human system related to the corporation internally and externally. We learned from the snapshot of the maximized individual above that the growth for human systems pressured by the maximizing machinery is not linear. Rather, it honors the integrity of the core strengths of the system. The core configuration remains the same but expands and advances. The key talents and their associated addictive drives advance and become capable of more impact on the context or reality or world. Therefore, growth, when integrated into the maximizing flow, is an expansion, magnification, and intensification of the ‘nucleus’ of the human system. Growth is an expansion by concentric spheres. The configuration of the core of the human system should remain intact. This is what the maximizing machinery is pressuring. This means that whether you want (a) your company’s impact to increase or (b) to use your products to help your customer’s system to advance, or (c) to develop your employees, or (d) to increase the contribution of suppliers, the integrity of the core of each human system will need to be honored. If you want to harness the functionality, power, synchronization, synergies, direction, quantum leaps and coincidences of the maximizing machinery, you will need to know where to look for it. You will need to know where the flow is going so that you or your company or your customer or your supplier may move with it. You will want to select goals to capitalize on an expansion process that already has powerful mechanisms and processes promoting it. You will want to get out of the way as they attempt to expand the capabilities of your human assets or increase the impact of your company. There are drives within us and mechanisms outside us that can motivate your people to some goals but not to others. With knowledge of the signposts and a little experience, you will be able to quickly identify when the internal and external maximizing machinery is supporting or opposing the directions of your company. At minimum, you will want to avoid choosing goals that will have you pitted against the maximizing flow. You will not want to promote people up a linear hierarchy which eliminates the use and improvement of their key talents. Not only will the company no longer have addictive drives motivating the individual’s work, it will not have all of the maximizing machinery and the systems it orchestrates supporting the individual. You will not have engaged the extended functionality and potential of his/her internal-external system in the service of corporate goals. You will not have maximized your people. Now let’s examine some examples of how corporate best practices will change when we comply with nature’s pressures to honor the integrity of each human system related to the corporation internally and externally. Where the maximizing machinery is pressuring a company system to go defines the integrity of the system to be honored. There are multiple systems whose integrity needs to be honored with respect to customers. The more your company, as the supplier company, is providing products or services in compliance with how the maximizing mechanisms are pressuring it, the more successful it will be. Ideal customers need to offer an opportunity for the supplier company to use their key talents in top-talent flow in order to serve that customer. It would go against all of the principles of maximizing human systems to take your company out of top-talent flow in order to supply a particular customer. Take a look at the customers that are causing problems, blocks, and negative events. These may indicate opposition by the maximizing machinery. It would not be wise for a supplier company to build its business around these customers. It is more than likely better to let a customer go than to come off of the addictive core drives of the corporation trying to take it to its maximum in peak-performing and peak-growth flow state. A customer company which requires a supplier company to come off its peak-performance centering will inevitably cost both companies money. A supplier company which is not providing products or services from their zone of peak performance will ultimately both experience and cause problems. The customer company also has a nucleus of key talents and drives evolved to promote their creative expression. The better your products support the core creative engine of the customer company and its expansion around that core, the more successful your company will be as a supplier. The more your products support the directions that the maximizing machinery is pressuring the customer system, the more successful your products will be. You know what the maximizing machinery is trying to achieve for your company, for the customer company, and for the interface system which develops between the two. Avoid swimming upstream. In addition, if you are setting up a new global company or developing a new product to offer globally, ensure that you also honor the integrity of the global human system and where the maximizing machinery is pressuring it to go. The goal state of being then would be to support customer companies to move with maximizing pressures while your company is also complying with the same maximizing pressures in selecting those products and customers. In other words, both customer and supplier are orchestrated by the same multi-system maximization machinery. They are unified and synchronized externally in the same way that they are unified internally. They are sharing in the coincidences and opportunistic synergies that are characteristic of the multi-system maximizing inherent in a massive biological system of systems committed to the survival of all living systems. The same logic which has a company releasing the wrong customers in favor of the right ones, will also dictate an outsourcing strategy which will release suppliers based on the same criteria. A company partnered with the maximizing machinery will spin off those business units that are not part of the company’s core competencies and addictive drives. These units will stand out because they will not be acted upon by the maximizing flow in the same way. While the bulk of the company is enjoying facilitating events and clusters of coincidences, those parts of the company that need to be outsourced are receiving visible opposition from the maximizing flow. Its reaction to a company’s components identifies what nature considers part of the system being acted upon. No force-fitting actions by the company to integrate something unintegrateable are going to make nature change its mind. Its reaction is neutral and final. Proceed against the maximizing flow at your peril. Having thus purified your own company to reflect its core integrity, you will only want suppliers who have done the same. You will not want to choose suppliers to support you with products or services which it really should have outsourced because they are not part of the core competencies of the company. You will want to choose suppliers whose core competency is to provide the product or service which will support your core creative engine. The same criteria will ideally apply to any partnerships and alliances entered into by your company. Over time, you will gain expertise for quickly identifying the core creative engine of any individual or multi-individual human system. You will be able to quickly have it operating as an extension of the maximizing engine that evolved it. You will be able to quickly re-link the internal-external human system to reclaim its extended potential. You will be able to extrapolate this from learning to maximize and centralize your own system. The business web of suppliers, customers, and partners that surrounds your company is itself a human system being acted upon by the maximizing machinery. Maximizing your company’s business web, then, is as simple as copying and complying with the multi-system maximizing machinery. Do what the maximizing process does and harness its power for you to do it. Orchestrate systems to co-evolve, co-adapt, synergize, and synchronize the way maximizing mechanisms do. 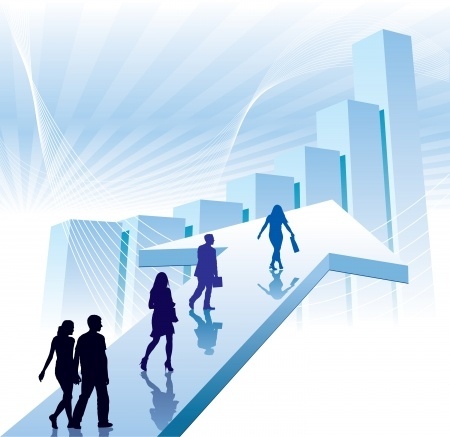 Matrix the capabilities of many systems to enhance company performance. Watch for tell-tale patterns of signposts that your business-web companies are being orchestrated by the maximization process. Then apply multi-system achieving techniques to enable your company to achieve beyond its potential through couplings with co-maximizing companies. System integrity results from the pressure of maximizing mechanisms to unify a human system around its nucleus of greatest strengths and their associated drives. It will be lucrative to choose products which help the maximizing machinery to accomplish this. For example, the immediate popularity of the Blackberry relates not only to its facilitation of company system integration and unification but also its promotion of the same for the entire system of humanity. The success of technologies which cross cultural boundaries to unify humanity into a single global system will steadily increase over time. This is what the maximizing machinery will always be trying to accomplish. Go with the flow in choosing product and corporate directions. We have been dissecting what is going on during the maximizing flow in order to better comply with it and capitalize on it. Let’s now look at some examples of how the new corporate core competencies for change management will transform as a result of re-integrating into the maximizing machinery. This machinery serves as the model and the power behind new breakthrough change management methodologies. Many of the change initiatives required today will instead be eliminated by natural levers built into a re-linked internal-external system. So many of the activities that we consider change management will be included within the daily operations of any company merged into the maximizing process. Maximization is perpetual change. It is nature’s adaptation engine. Therefore, natural levers built into our internal-external system will promote ongoing system advance without requiring human intervention. Almost all of the resistance to change is fear of the unknown. The methodologies being presented in this essay series are designed to build not only expertise for frontiering™ but a craving for it as a way of life. Frontiering™ is the method for penetrating unknown territory or bringing the unknown into existence. It is about scaling new frontiers of knowledge and creation. By partnering with the greatest machinery for frontiering™ – adaptation or maximization – to remove the fear of frontiering™, our addictive drives for frontiering™ can be released. We become the frontiering beings our successful species has evolved to be. The effect on organizations of each person having an addiction to frontiering™ and change will be massive. The push for change from employees will replace the pull from management. Fear of the unknown will be supplanted by a craving for living in the frontiering zone. This is the territory where the unknown is replaced by the known, new frontiers are scaled, the unprecedented is the norm, and routine is anathema. This dramatic reversal will revolutionize change management best practices. By complying with internal and external maximizing pressures, the development of frontiering capabilities will start in one territory of your life and then spread to others. That first territory is around using and improving one’s key talents. This is where your internal drives and the pressures of the maximizing machinery are the strongest. We use the pull of the addictive top-talent drives and top-talent flow states to mitigate the fear of the unknown associated with frontiering™. There are no negative emotions in top-talent flow. We capitalize on our innate drives to pursue certain passions, frontiers, creations, knowledge, and growth, to build our frontiering addictive drives – or, more accurately, to release drives we are born with as indicated by figure 3. Each frontiering experience will strengthen your addictive frontiering drives. The more you comply with addictive drives, the stronger they get. The more you override addictive drives, the more they atrophy. Eventually you will have frontiering expertise and frontiering drives which are transferrable to every aspect of your life. The frontiering capabilities that have been culturally deactivated will be reactivated. Resistance to change will decline while the addiction to change increases. This should significantly transform the corporate change management process. Agility and adaptivity will become the norm. As we partner with the maximizing machinery, we are exposing ourselves to its perpetual change, perpetual adaptivity, perpetual creativity, and perpetual frontiering. Adaptation and maximization are pure frontiering. There is no need for a separate change management competency if both we and our organizations are merged with nature’s change management process. We simply choose individual or organizational change goals consistent with the directions that maximization is pressuring and merge with its machinery. Partnering with the maximizing flow is accomplished, to a great extent, by watching for the patterns of signposts and indicators of its direction. Since the flow is always in a perpetual state of flux, change will become a way of life. However, it will feel as if it is business as usual moment by moment. It will feel safe because one is just following the same signposts. Partnering will provide a dynamic stability no matter how fast the change is occurring. The fear of the unknown and the resistance to change would return only if a company insisted on a change management program which is in conflict with the maximizing flow. If the company and employees are in sync with the maximizing flow, then there is a powerful engine in place to be harnessed to fuel change projects. The unification and synchronization needed for change management are built into this partnering. Change would be routine. It would become a way of life. This is a significant departure from current best practices. Part of the power for organization change management will come from copying, complying with, and capitalizing on the quantum-leap bias of the maximizing flow. A high percentage of organizational change projects derail when they attempt to achieve change through a long linear transition. Invariably organizational systems become unstable. Evolution has solved this. It promotes a nonlinear process of quantum leaps which move systems from one stable state to a new stable state without the risky transitional states. Because quantum leaps use an emergent process, what happens between the current state and the new state is not known. Quantum leaps are nonlinear because the post-leap state cannot always be predicted from the pre-leap state. The post-leap outcome is not usually a linear extension from the start state. The emergent process mixes, matches, and combines pre-existing pre-leap systems to create new unprecedented post-leap systems. In many cases, the unexpected events and products emerge almost by magic or miracle by this creative process. A metaphor for the quantum leap process would be to install new stable software on a computer to replace existing stable software. It is transparent to us how the new software makes all of the necessary connections to other software within the computer. If we did not know better we would think it is magic. The same re-connections and integrations are happening behind the scenes of coincidences and other leaps such as flashes of genius, breakthroughs, sudden knowledge, sudden creativity, and other such epiphanies. The process is a duplication of the underlying creative process of evolution, maximization, and frontiering: the blending of existing information systems to make new information systems. That is why I call this breakthrough synthesis. A metaphor corporately would be the cutover to a new computer application over a weekend. On Friday you have one application and on Monday you have only the replacement application. To many, there is no more fearful prospect than that Monday experience and the weeks of dread prior to its arrival. This resistance to change is one of the greatest challenges faced by today’s change managers. If all employees become quantum leap experts by partnering with nature’s quantum leap process, the challenges of change management would diminish dramatically. Everyone would jump from one stable state to the next without the scary interim steps. Best practices for change management will not only be transformed by the self-initiated quantum leaps of the previous section but also by the maximization-initiated quantum leaps that are inherent in any partnership with the maximizing machinery. They include clusters of coincidences and leaps to flow states, sudden knowledge, and spontaneous creativity. They serve to catapult the company ahead nonlinearly to its goals, to better versions of its goals, to goals that cannot be achieved linearly, or to alternative goals which will better serve the company system. Project management has developed over the years as a major new form of management in organizations facing rapidly changing business environments. The Project Management Institute (2000) defines it as “the application of knowledge, skills, tools, and techniques to project activities in order to meet project requirements.” Project management is intended to provide focus for using resources to achieve a specific objective. The fundamental objective is to “get the job done” to client satisfaction within time, cost, and performance constraints. Today’s project management best practices will appear primitive by comparison to what is possible by merging with the maximizing machinery. Project plans promote a linear process with pre-set steps rather than the opportunism, creativity, adaptivity, and nonlinear quantum leaps of the maximizing flow. Project plans and processes are limited to human knowledge, intelligence, power and capabilities rather than those of maximization. They are man-run rather than nature-run. They are limited to the capabilities of the human mind. Projects run with the today’s methodology do not garner functionality, resources, or advantage from either the maximizing machinery or from the co-maximizing systems it orchestrates. They do not benefit from opportunistic synergies. Nor are they pulled with the trends of synchronization with the majority of other human systems. Without this multi-system maximizing process, projects will not be catapulted ahead by the leaps and facilitating events that are its byproducts. There will be no clusters of coincidences, sudden knowledge, sudden creative inspiration, Aha! experiences or models of solutions. In fact, the inability to penetrate unknown territory or to deal with known and unknown unknowns is a weakness of today’s project management methodologies that is solved with finesse by the maximizing machinery. Today’s projects would also not harness mechanisms that would maximize the project system for peak performance as it does for any human system. Many unpredictable events happen during a project including opportunities to upgrade the performance of the project. Working to a project plan interferes with working opportunistically and nonlinearly. Rather than following a linear project plan, evolution uses creativity and adaptivity to capitalize on the best options and resources at each decision juncture. The new project management standards will enable each step to be based on the results of the previous step to yield significantly superior results. Another benefit of partnering with evolution’s machinery is that it enables projects to achieve the intent of their goals in bigger and better ways than might have been anticipated. The most fundamental dynamic of maximization is breakthrough synthesis: the re-combining of existing information systems to create new information systems to solve maximization, adaptivity, or synchronization challenges. This is the essence of adaptation’s creative process. It becomes available to your project with the partnering. Another beneficial upgrade to best practices then is that partnered project results may dramatically exceed what was originally sought. Consequently, how project goals are defined will need to change to enable the emergence process and adaptation’s creativity to step in to create the best possible outcome to meet the intent of the projects and the true needs of a maximized corporate system. Current project selection does not factor in the maximizing flow. They not only do not benefit from it but incorrect selection could pit the project against that flow. This will build failure into the project. With the quantum leap process, projects can proceed from one stable state to the next just as evolving living systems do in nature. The need to keep transitional organizational systems stable through a linear process is avoided. Nature was smart enough to figure out that there is danger in the linear approach. Perhaps we could embrace the same learning. Nature has developed a nonlinear process for achieving breakthroughs for a reason. Evolving the human eye through linear transitional states, for example, is not possible. Similarly, some projects should not be undertaken because there is no way to achieve their goals through the linear process built into today’s project methodologies. The proposed new project best practices corrects for this. The new standards for selecting projects will be based on what has historically been successful in all project-related human systems. The Sourcing-Your-Savant exercises will identify where the maximizing machinery will or will not support the progress of the project and its implementers. Better project selection will ensure better project results. Honoring project system integrity and that of the participating human systems will accelerate progress. Project teams currently need to be controlled, disciplined, and motivated to project plans. New best practices will capitalize on the addictive drives innate to the individual to pull them to perform. They will capitalize on what the maximizing flow identifies as the strongest talents of the individual. Top-talent flow states will be promoted. This will promote peak performance and peak addictive pull for project participants. Project teams using the new methodology will outperform what they could do using the old methodology. Less management and less discipline will be required. More passion and more emotional highs will exchange push for pull. With everyone synched to the maximizing machinery, distributed leadership, creativity, and frontiering become possible. Hierarchy in the teams becomes redundant. The superior functionality of maximizing mechanisms will be available to everyone. The merger will add new meta-skills, dynamics, reflexes, and modes of operating. The inherent ability nature’s adaptation machinery to improve functionality will ensure more capabilities for project success. By partnering at least one frontiering expert with the field experts in each project team, projects will have the expertise for penetrating unknown territory or capitalizing on opportunities that emerge during project implementation. It will become part of project management best practices to include one or more frontiering™ experts within each project team. Frontiering™ experts will become a critical team resource for all breakthrough projects or new ventures to supplement experts from the project’s field of endeavor. It is easy to envisage a Frontiering™ Office existing as a subset of the Project Management Office (PMO). Leadership and leadership development will transform significantly and in unexpected ways with the shift to partnering with the maximizing flow. All of the functions performed by a leader are integrated into the multi-system maximization process. Natural leaders copy, comply with, and capitalize on this process. They operate as an extension of it. The maximizing flow includes ongoing opportunistic synergizing and mass synchronization of co-maximizing systems. This suggests that if individuals pursue a partnership with the maximizing flow, they may end up with the functionality of leaders as a byproduct, even if that is not their intention. Frontiering™ is the fundamental dynamic of the maximizing machinery. Frontiering™ is also the fundamental dynamic of leadership in the new partnered way of operating. The person with the expertise for penetrating new unknown territory will always be the leader. In fact, as the ability to frontier becomes more wide-spread, frontiering™ will become the defining requirement for leadership. Again, it would seem that leader drives, reflexes, meta-competencies and capabilities may emerge inadvertently from the proposed partnering process. Could it be that the global leadership shortage will diminish by partnering with the maximizing flow? As one pursues personal gain in a biologically maximized career, will leadership be created and developed as a byproduct? There is only one human development continuum for all human systems when they reintegrate into the maximizing machinery that evolved them. Therefore the answer is ‘yes’. Multi-system maximizing, multi-system achieving, mass synchronization and synergies, and frontiering – all driven by their associated addictive drives – can indeed both create a leader and make a leader effective. With all employees synched with the maximizing flow, organization-wide distributed leadership and frontiering™ will replace hierarchical leadership. Leadership will become the capability and responsibility of every individual within the organization. Once they know how to maximize their own system by partnering with the maximizing machinery, they will know how to maximize any human system, whether it is the company, a subordinate, a customer, a supplier, a market, an industry, or a project. The definition and development of leaders will change with re-integration into a maximizing flow which is adapting, advancing, and frontiering™ continuously. Frontiering™ skill will replace the need for leadership. Managers manage what exists. Leaders bring the new into existence. 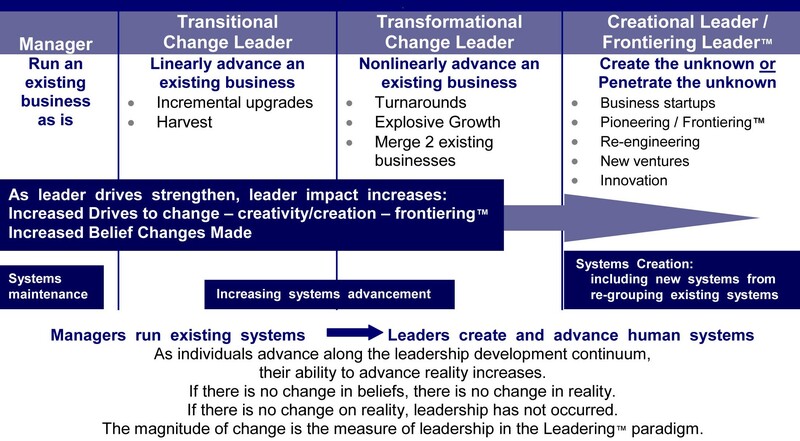 The resulting leadership development continuum will progress from a manager running an existing organization, to a transitional change leader adding linear advancement to the organization, to a transformational change leader adding nonlinear change to an organization, to those leaders or individuals who have mastered the unknown – a creational leader and a frontiering leader. These individuals (a) bring the new and unknown into existence or (b) penetrate new or unknown territory respectively (See figure 4). This is the same skill development continuum that emerges as individuals become frontiering™ experts. The person who knows how to penetrate the unknown will always be the leader. As indicated by figure 4, there is another dimension to this progression. Systems maintenance, for which no change is made, gives way to increasing systems advancement in which linear and nonlinear changes are made. This then progresses to systems creation which includes the underlying creating dynamic of maximization and indeed the universe, breakthrough synthesis: the creating of new systems by re-combining existing systems or parts thereof. Everyone who partners with the maximizing machinery will, in effect, become a multi-system achiever in the same way that every leader is. They will achieve bigger goals faster through capitalizing on other systems in the same that every leader does and the maximizing machinery does. The biological machinery maximizes human systems. Corporate leaders must maximize human systems. When the two join forces, every best practice for corporate success is revolutionized. Few companies have foreseen the magnitude of this pending transformation to management science. The corporate landscape will be littered with those who fail to make the leap before their competition.